As I have mentioned before, I have been doing a lot of reading lately (and not as much hobby as a result). 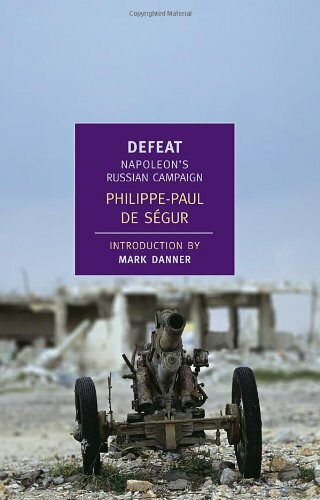 Thanks to my local library, I have just finished reading Defeat by Philippe-Paul de Ségur, who was an Aide-de-camp during Napoleon's invasion of Russia, and thus, was there to see much of what he writes about in this book discussing the Grand Army's invasion of Russia, and its subsequent defeat by winter and poor planning. This version of his book is a abridgment of the original two volumes (Histoire de Napoléon et de la grande armée pendant l'année 1812) published in 1824. The book is full of vivid detail, although it tends more to salacious anecdotes than to detailed history, as might be expected by the publication date (and possibly due to the abridgment as well). The author seems to have a poor opinion of Berthier, Napoleon's chief of staff and blames him in part for some of the disaster. By contrast, de Ségur, paints Eugéne de Beauhamis in a very heroic light. (interestingly both Berthier and Eugéne were relatives by marriage to the King of Bavaria). As might be expected from an Aide-de-camp, the more personal stories tend to be of arguments between the marshals, and not of combat action. The terrain he [Napoleon] had to cross to reach Moscow presented a strange appearance. Enormous fires had been lit in the middle of the fields, in thick, cold mud, and were being fed with mahogany furniture and gilded windows and doors. Around these fires, on litters of dam straw, ill-protected by a few boards, soldiers and their officers, mud-stained and smoke-blackened, were seated in splendid armchairs, or lying on silk sofas. At their feet were heaped or spread out cashmere shawls, the rarest of Siberian furs, cloth of gold from persia, and silver dishes in which they were eating coarse black bread, baked in the ashed, and half-cooked, bloody horseflesh - strange combination of abundance and famine, wealth and filth, luxury and poverty! So, an interesting book, and you should check it out. Gaming: As you might expect, the Perrys have a complete range of figures that would be useful for gaming the various parts of the 1812 expedition, both in the beginning as the Grand Army, and the disastrous retreat. It has certainly increased my interest in the retreat, and in the following 1813 campaigns. Not just goat men. Coming out in the next few months from Eureka Miniatures, although they will have some stock at Salute. Pretty good looking figures, and the one Eureka 28mm figure I have is a good size, so these should work pretty well with older GW Chaos figures. Should also be good for inquisitors to hunt down. 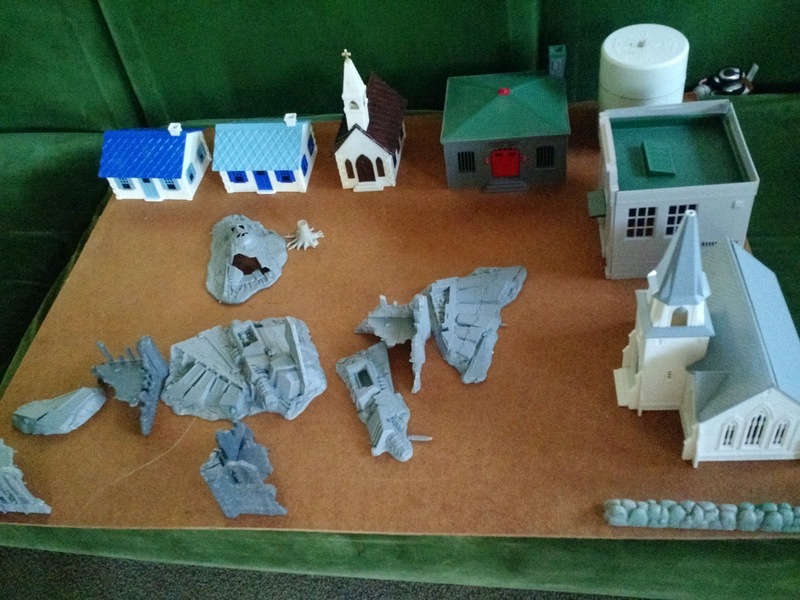 I have been thinking a lot lately about Terrain for wargames. Seeing posts like this one from Eric the Shed, and this one from Whiskey priest do not help. I have some sort of crazy ideas to have a table absolutely packed with terrain, done up to model train layout levels... so nearly unplayable and certainly illogical given the frequency of games around here.